Summary: In His baptism, Jesus took our sin upon Himself. In Christ’s body, through His crucifixion and burial, God killed and buried all mankind’s sins and evil desires. In Holy Baptism, God applies this death to us individually, sweeping our sins away in the cleansing flood, leaving them sealed in the tomb from which our Savior rose. 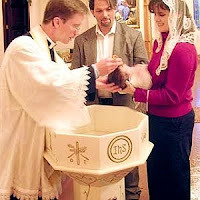 Baptism then also connects us to this resurrection, granting new life while we remain on earth and guaranteeing unending, sinless life forevermore to all believers when we are raised on the Last Day. Therefore, Baptism makes us both dead and alive — dead to sin but alive in Christ. The New Man knows no condemnation and needs no commands, he is free to live and love others as Christ lives and loves him. Unfortunately, the fallen Old Adam must still hear the Law’s warnings and threats lest he gain ascendancy and overthrow the salvation won and given by our Lord. So we are freed not to sin and to defile ourselves and shame our Savior but free to love our neighbor as ourselves. Text: What shall we say then? Are we to continue in sin that grace may abound? By no means! How can we who died to sin still live in it? Do you not know that all of us who have been baptized into Christ Jesus were baptized into his death? 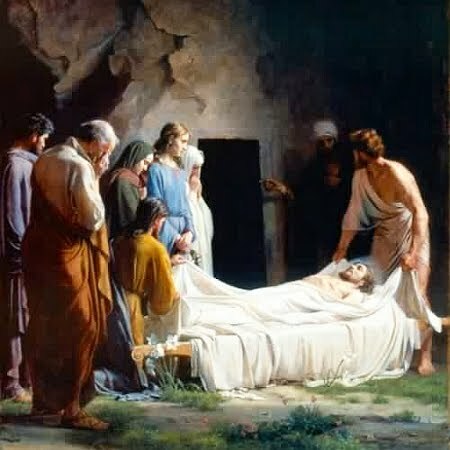 We were buried therefore with him by baptism into death, in order that, just as Christ was raised from the dead by the glory of the Father, we too might walk in newness of life. For if we have been united with him in a death like his, we shall certainly be united with him in a resurrection like his. We know that our old self was crucified with him in order that the body of sin might be brought to nothing, so that we would no longer be enslaved to sin. For one who has died has been set free from sin. Now if we have died with Christ, we believe that we will also live with him. Audio: Click to hear the MP3 of Dead and Alive, preached to the saints of God at Saint Matthew Lutheran Church, Ernestville, Missouri.